Eight organizations make up the “No to the ICJ” Movement and tomorrow they plan to officially launch their campaign. Derek Aikman, the National Coordinator of the movement said the event kicks off with a parade which starts at five thirty from Cinderella Plaza. The parade will make its way to Battlefield Park where a rally will take place. 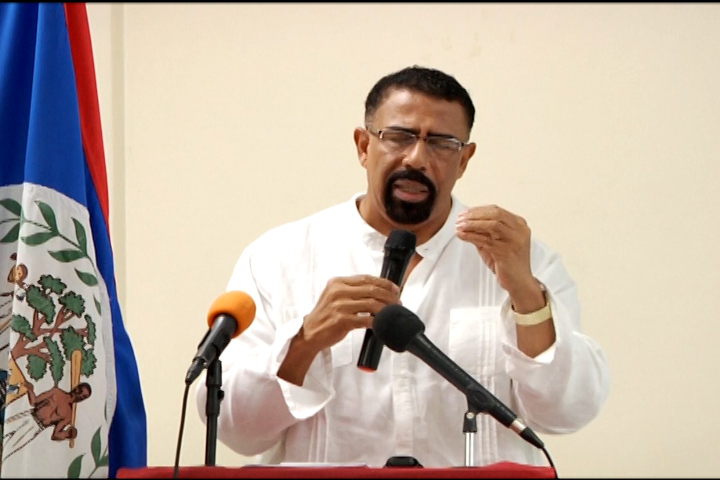 Derek Aikman – National Coordinator: We are going to have artists who will perform their original song entries such as the No To The ICJ song. The public at the rally by acclamation will decide who the winner should be and then the winner will win one thousand dollars. Their song will also become then the official No to ICJ song for the campaign for the next nine months. We have dynamic speakers that will be speaking intermittently between the artists’ performance. We have Don Hector Silva from Cayo, we have Zenaida Moya former Mayor of Belize City, we have Attorney Norman Rodriguez, we have Major Lloyd Jones, we have Francisco Escobar from Cayo, he is the leader of the,I think it’s the reform party out of Cayo. We have Derek Stuart, we have George Myvette from the BPP, there are 10 speakers so I may be missing a few. We have two yet to be confirmed and that is Lewis Blass Mendez; he is the leader of the Green Party out of Cayo and Harolyn Sanford. Those are the two that are still pending confirmation, but it is a very dynamic group of speakers. it is a very balanced group and as you can tell, coming from both political parties and we love that; and everybody will be presenting why we should not go and what are our alternative options when we don’t go. Aikman said this is just one of three rallies they have planned between now and the date of the referendum. Derek Aikman – National Coordinator: We are going to have three such meetings as we are having tomorrow night in each district between now and the10th of April next year. The last meeting will be very adventurous as we are planning a flotilla meeting, where we are going to take boats down the mouth of the Sarstoon River and we will have a rally out there on the seas. We believe it’s strategic, we believe it’s important to send a message. That will be the last Sunday before the Wednesday’s vote on April 10th. We will have more of our conversation with Aikman in tomorrow’s newscast.